Mikesell's Potato Chip Company began over a century ago. 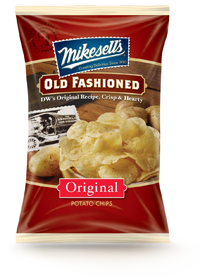 D.W. Mikesell and his wife sold dried beef and sausages from two rooms on South Williams Street in Dayton, Ohio, before the opportunity to buy some potato chip manufacturing equipment and the Mikesell's Potato Chip Company was born. 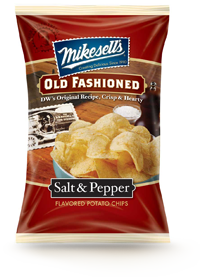 Mikesell's early forays into the potato chip industry began with "Saratoga Chips". 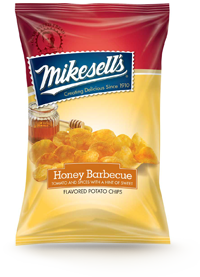 Rather than standard inexpensive vegetable oil, Daniel used premium oil — giving them a unique taste and texture. Today, Mikesell's is still a privately held snack food manufacturer and distributor. The range includes healthy snacks and healthy chips, potato chips and pretzels, to corn products, pork rinds and dips. They are also still located in Dayton, Ohio. A company statement reads, "Sure, we've been around longer than almost every other potato chip company in the United States... A milestone we wouldn't have reached without all our loyal, passionate fans. 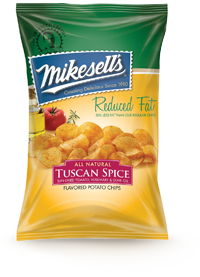 "But no matter how many years we've been in business, we always keep innovation at the forefront. 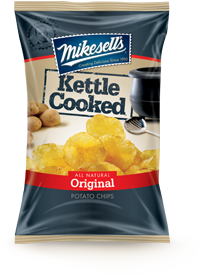 In fact, our production facilities in Dayton and Indianapolis are some of the most state-of-the-art food processing facilities you'll find anywhere." 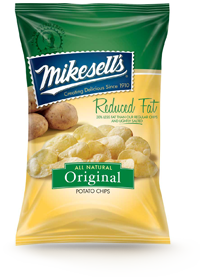 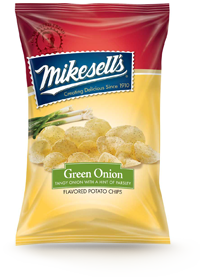 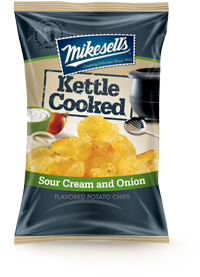 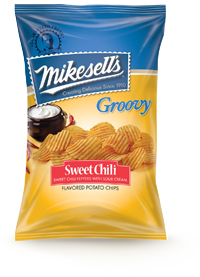 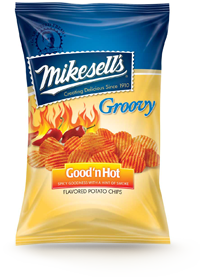 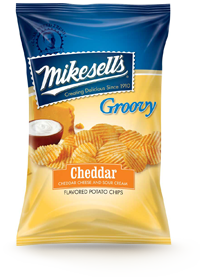 Mikesells certainly attempts to remain at the forefront of the potato chip market with their modern bags and the invention of new potato chip flavors and textures. 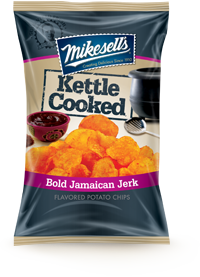 Including Kettle Cooked Jamaican Jerk Pork, Sweet Chili and Sour Cream and Good 'N Hot — as well as the ever-popular, one-of-a-kind, Puffcorn Delites.